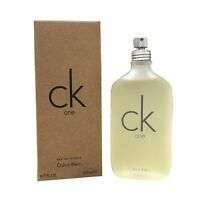 Fragrance Type: Eau de Toilette Size: 4.2oz. Freshness of green apples and subtle floral accents are balanced with the ice of frozen Thuja and icy woods. Light and delicate oriental touches of jasmine are interlaced with the spicy depth of cedar wood. Mysterious Patchouli toys with the masculine intoxication of exotic Vetyver to explore a man's brooding sensuality. TOPNOTE The fragrance confidently opens with a boost of Manzana Verde. Tangy and green, with the luscious energy of freshly picked green apples. Maclura fruits give a fruity, clean transparency. HEARTNOTE A surprising harmony of jasmine floral notes with cedar leaves creates elegant and sophisticated warmth to the heart of this fragrance. BASENOTE The base is composed of a rich masculine accord of precious woods. About the Brand The crocodile embroidered on all Lacoste goods, probably the most famous crocodile ever, is designed by the illustrator Robert George. In 1933 the tennis player Rene Lacoste designed the popular Lacoste polo shirt. That was the birth of a new brand that now expresses itself through a huge collection of clothing for men, women and children, footwear, perfumes, leather goods, eyewear, belts, watches, and hometextile. Moreover, Lacoste has become a brand which is an epitome of comfort and elegance. Is htf in stores as it was discontinued for some time but i think brought back my demand. I LOVE THIS SMELL, LOVE IT! i It’s not super string so I personally go heavy, but women always compliment me on it. Sweeter than it is musk or pepper, so a good every day smell. I even add some in the last few mins of my clothes in dryer. Im on my 15’th bottle if that says anything, highly recommended but be sure you are buying a recently made bottle and isn’t old or sample bottle. This cologne has a unique smell however it doesn't last long either! Just being honest! I never get to go out because I spend all night sniffing my cologne. I got fired from my job, my wife took my kids and left, and people keep banging on my door to repossess my house. I'm just sitting here huffing this cologne in a paper bag in a desperate quest to recapture the initial euphoria of the first time this amazingly sweet yet masculine scent graced my nostrils. Just kidding, but this cologne is my favorite right now and you should buy it.